Danielle Bryant is the founder of the Make It Count 4 Dani Foundation. Her mission is to advocate, educate, encourage, and inspire those living with Rheumatoid Arthritis to MAKE IT COUNT. Bryant did not want to forfeit her chance to receive a college softball scholarship, so she hid the pain. Then came the drinking. She carried around vodka in her backpack. When her dreams of playing college sports were dashed, depression took hold. It was a cycle that persisted for many years. Total life transformation came to her in a dream. Bryant says she woke up and realized that the only person who would be able to fix her life was her. She sought help from Alcoholics Anonymous and was able to quit drinking. Bryant went on to become a successful businessperson in Phoenix, Arizona. She is the Founder of a boutique construction company called Thrive. Rheumatoid Arthritis does not go away. It’s an autoimmune disease that travels everywhere in the body. Bryant has extreme joint pain and has had to deal with her organs being compromised. But she’s managing her condition one day at a time. 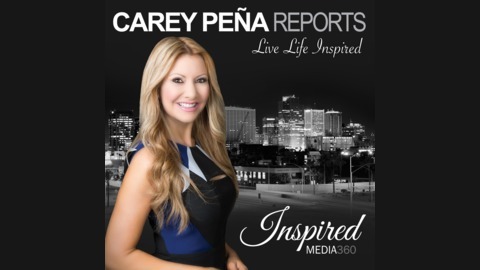 On this 35 minute episode of Transformation Tuesday, Bryant talks to Carey Pena about her journey to health and mission to inspire others to get up and move – no matter what is happening in your life. Bryant also shares insight on her workout routine and daily diet (she sticks to chicken and fish and stays away from nightshade vegetables and dairy). With her Foundation, Make It Count 4 Dani, Bryant is able to share her message with a wider audience, many of whom are living with Rheumatoid Arthritis or other debilitating conditions. Ever since she made the decision to transform her life at age 23, Bryant has not touched alcohol. She is fueled by healthy living and the opportunity to help others. 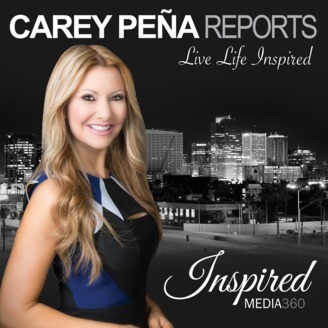 The post Transformational Journey: From Pain And Alcohol To Fitness And Focus appeared first on Inspired Media 360 - Inform | Inspire | Engage.